One of our proudest moments is when the team receives a note from one of our caring companion recipients. As volunteers, it makes us feel so good! It's always a joy to learn our many hours of creating time for events, training dogs, teaching new people, and promotion are well worth our efforts. Read about our success stories! 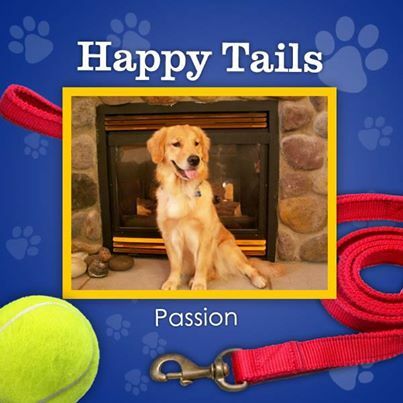 Passion, re-named "Compassion" by a Children's Hospital patient, is a 5-year-old Golden Retriever. She loves homemade sweet potato chips, her braided polar fleece tug toy, making snow angels in the winter, and running through sprinklers in the summer!